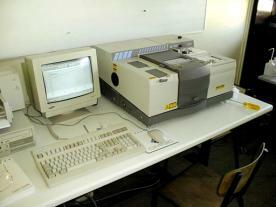 Nexus Laser, Nexus IR Source, 6700 FTIR 4700 Laser, 6700 FTIR 4700 IR source. We offer spare parts for Thermo Nicolet FTIR spectrometer models Nexus, 4700, 6700, Magna, ECO 1000, Avatar, Antaris, Protege, Impact. Our parts have been tested and meet the original manufacturer specification. Purchase on-line or place order. Contact us if the required part/model is not listed. We offer spare parts and upgrade parts. Used FTIR Accessories. Accessories were used for Demo purspose, strongly discounted. Mounted on Nicolet baseplate and optimized for your Nicolet FTIR spectrometer. we send you detailed description, prices, photos, etc. Pike Technologies Integrating Sphere NIR with InGaAs detector "NIR IntegratIR"
Trade marks: Magna ™, Avatar™, Protege™, Ever-Glo, Passport (and perhaps other mentioned names) are trademarks of Thermo (Nicolet). Contact us for Antaris spare parts. Most of them available. 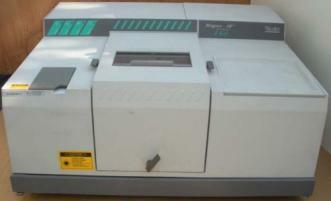 Complete working system (refurbished), includes installation – connection to your spectrometer.